We recently expanded PlumX metrics with a new addition in our Captures category: CiteULike readership. CiteULike is a web-based social bookmarking tool that aims to promote the sharing of citations to academic papers. 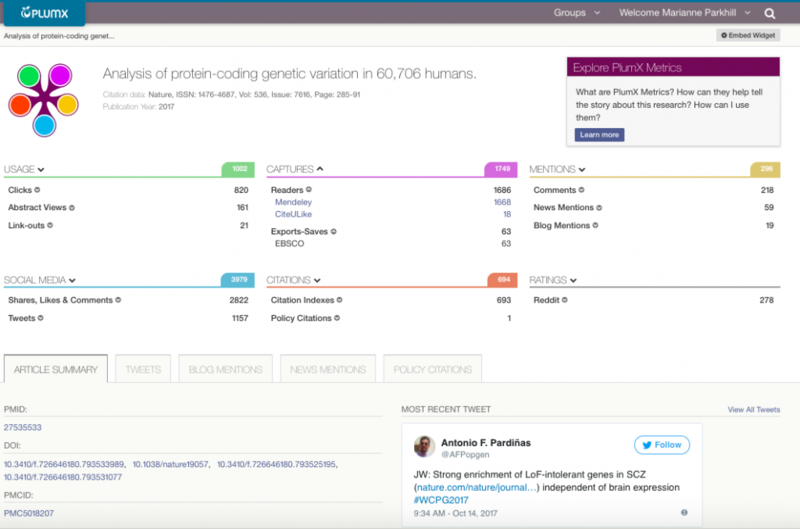 Users can store, share, organize and discover links to scientific literature. The archive currently covers more than 8.5 million articles and is growing daily. Entries to CiteULike can be made publicly or privately. Within the PlumX artifact page, we display the total number of readers consisting of both public and private readers. From the metric within PlumX, users can click through to the article page on the CiteULike website. The article page shows public and private counts separately. This new addition covers the entire archive of CiteULike, and is updated daily.